I often wonder where he goes. The moments when stillness overcomes his small body and a vacant look sets upon him deep within the souls of his eyes. He lays awake almost unmoving, yet in such a place you know in this moment, that you are not welcome to visit. You can’t go there with him, he can’t tell you where he’s been. I wonder what his thoughts are. 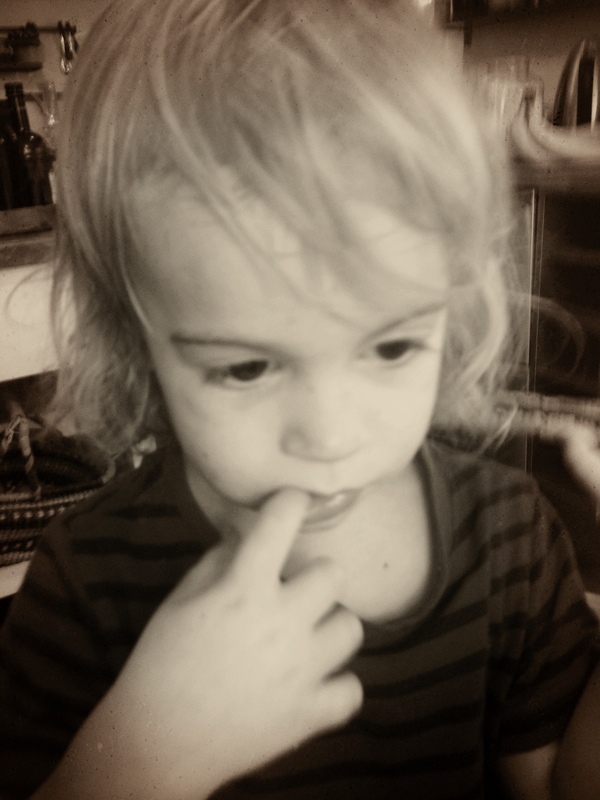 What is this three-year old contemplating so deeply on. Or is he even contemplating at all. Maybe he is in that place, the place we have all at times in our lives so desperately wanted to escape to. The place of nothingness. Where needing and wanting simply don’t exist. There is no feeling, no emotion, no thought. Just being. Being still in a world that is full of ever moving motion. I wonder if i’ll ever know where he goes. I wonder if there will be a time when he will know, or if it will remain a mysterious part of his life, for his life. There is a part of me that hopes he’ll hold onto this special place, a hope that he won’t grow out of or forget how to get there. I’m not bothered by when or how often he disappears, I’m reassured that where ever he is going there is peace and it is offering him a calmness that can come from no other place than there. This place, is a sanctuary of rest that seems to belong to only him, it’s a blessing, a moment of clarity, it’s probably more real than anything else in this wonderful dream like state we are all living in.